Philanthropy Northwest has an impressive and engaged board of directors, all of whom show up in different ways for the network and our organization while representing the diverse field of philanthropy in our six-state region. In October 2018 at our annual conference, we proudly welcomed three new board members to join our governing body: Mike Halligan of Dennis and Phyllis Washington Foundation (Montana), Jill Nishi of Bill & Melinda Gates Foundation (Washington), and Brenda Solorzano of Headwaters Foundation (Montana). We are fortunate to have these philanthropic leaders on our board who represent organizations committed to supporting vibrant, healthy communities in our region. I look forward to working with them in the coming years. Mike Halligan was raised in Billings, Montana. Mike is a Vietnam veteran who served as an infantry platoon leader with the 101st Airborne Division in the Army from 1968-71. He later attended the University of Montana in Missoula where he earned a bachelor of arts degree in history and political science in 1975, a master’s degree in public administration in 1977 and graduated from the University of Montana School of Law in 1984. Mike served in the Montana State Senate for 22 years from 1980 to 2002 and served as the chair of several legislative committees. In the 1995 and 1997 legislative sessions, he served as the minority leader. After working as a deputy Missoula County attorney from 1985 to 1990, Mike operated a private family law practice from 1990 to 1999. He also served as the supervising attorney for the Montana Department of Justice, Child Protection Unit, from 1999 to 2002. He has been director of government and corporate relations for Washington Corporations and executive director of the Dennis & Phyllis Washington Foundation since November of 2002. Mike was a Philanthropy Northwest board member from 2009 to 2017. 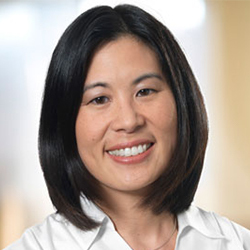 Jill Nishi currently serves as director, Strategy, Planning and Management and chief of staff at the Bill & Melinda Gates Foundation in Seattle, supporting the overall strategic and operational work of their U.S. program. Jill has served in a number of leadership roles at the Gates Foundation, most recently as a senior advisor in the Office of the President, and previously overseeing the management and research and evaluation functions for the foundation’s Postsecondary Success strategy which aims to increase the number of low-income young adults who complete a post-secondary credential. She also led the foundation’s U.S. Libraries Program, an initiative dedicated to bringing technology access to underserved communities through the nation’s public libraries. Prior to joining the Gates Foundation, Jill served in several leadership positions in the public sector. She was appointed by Mayor Greg Nickels as director of the City of Seattle’s Office of Economic Development; and previously served as deputy director of the Washington State Department of Community, Trade and Economic Development. Jill holds a bachelor's degree from the University of Puget Sound; and a master's degree in public affairs from Princeton University. She currently serves on the boards of the Wing Luke Museum of the Asian Pacific American Experience and the U.S. Japan Council, as well as trustee-emeritus of the University of Puget Sound. Jill lives in Seattle with her husband and two young children. 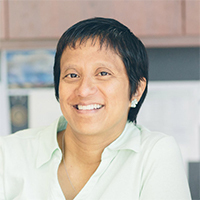 Brenda has spent her career working for good in the philanthropic world on issues related to health policy, the health care safety net and community health issues affecting vulnerable populations. She is a strategy, evaluation, program and grantmaking guru with an eye toward local collaboration and a keen sense that change happens when communities come together to engage in good work. She is invested in the work of the Headwaters Foundation because she believes every child deserves a healthy start to life. She left her beloved San Francisco to move to Montana both to re-invent philanthropic practices at Headwaters and to live in Big Sky Country with its slower pace of life and stunning beauty. Brenda holds a bachelor’s degree in history and political science, a juris doctorate, is a member of the California state bar association and is a Terrance Keenan Emerging Leader in Philanthropy Fellow. Living in Montana with her husband and two children, Brenda is learning to be an avid lover of nature and the great outdoors. 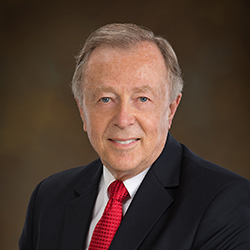 Chaired by Kevin Walker of Northwest Area Foundation, Philanthropy Northwest’s board consists of 25 leaders and represents our network of family funds, foundations and corporate giving programs in Alaska, Idaho, Montana, Oregon, Washington and Wyoming. You can find the full list of our board members below.